Congratulations to industry champion Brice Kaddatz, who was awarded an Order of Australia medal this year. Many industry members would not be surprised that the award for Brice’s commitment over the long-term to horticulture, particularly the macadamia industry. In 2015 he was awarded the macadamia industry’s prestigious Norm Greber Award, and the Order of Australia is further, well-deserved, recognition of his work. He has been involved with the macadamia industry for 17 years years, serving as grower liaison officer at SunCoast Gold Macadamias from 2002-2015 and on the Australian Macadamia Society (AMS) Board as company secretary and treasurer from 2011 to 2016. As well, Brice has been a passionate member of the industry’s Macadamia Conservation Trust since 2010, and chairman from 2012 to 2018. His current role at the Trust is that of MCT1 Coordinator. 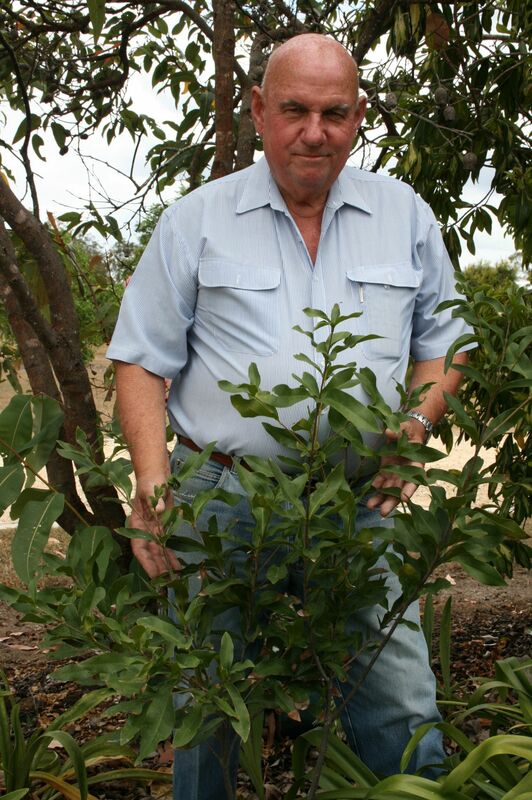 Brice said that he was privileged to have served Queensland agriculture directly and indirectly for over 50 years.